the definitive (?) soft to listen to your crossover ! You can create a 4 ways speaker (or WMTMW…), position the speakers,define the crossover and then move the listener to hear and see the response changing. 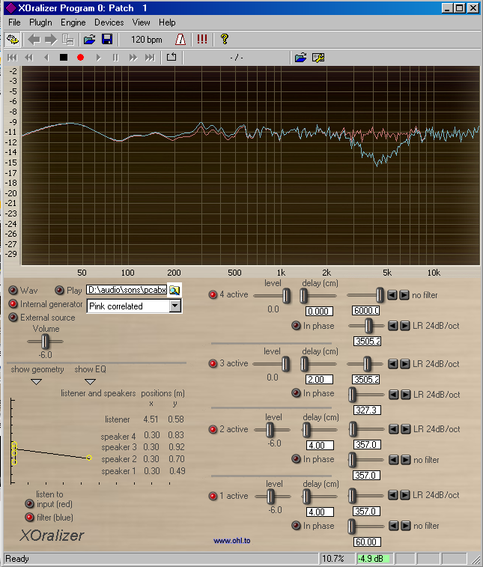 Try the difference between first order (6dB/oct) and a Linkwitz-Riley 24dB/oct !